Authorities are in the thick of manhunt operations to track down and arrest an unidentified male bank robbery suspect wanted for the series of at least nine robberies occurring the last five months. Leading the search efforts are FBI and law enforcements agencies in Los Angeles and Santa Barbara counties. The suspect knew only by the moniker given to him by the authorities as the “Seasoned Bandit” is described as a white male in his 50s or 60s. 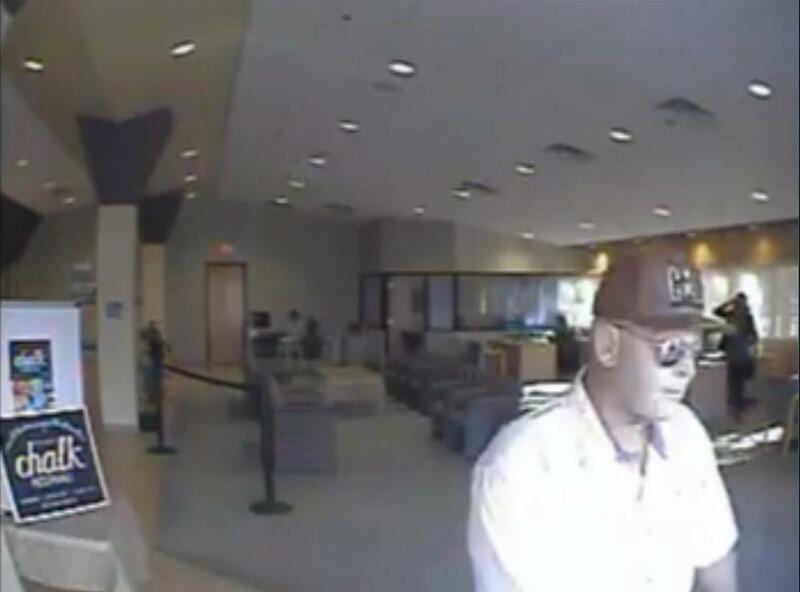 In bank surveillance photographs, he could be seen wearing casual clothing, a hat, and sunglasses. The same photographs have been shared with the public to seek people’s help in tracking him down so he could be arrested and charged. The moniker was chosen based on the suspect’s estimated age and gray-white hair. The suspect is allegedly behind robberies in Montecito Bank and Trust in Carpinteria on April 27, Union Bank in Carpinteria on May 24, a Wells Fargo in Newhall on June 12, a Chase Bank in Newhall on June 27, a Golden 1 Credit Union in Goleta on July 7 and Logic FCU in Valencia on July 25. The police say “Seasoned Bandit” also targeted a California Credit Union in Valencia on Aug. 10 and a Wescom Credit Union in Stevenson Ranch on Aug. 21 before retargeting Santa Barbara County. The suspect also allegedly robbed Coast Hills Credit Union in Santa Maria. Authorities have pointed the suspect’s tactics- he usually passes a note demanding cash and threatens to use his gun if the teller refuses his demands. that's a mask, yah dig?